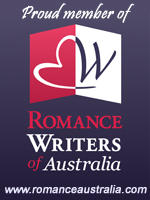 Imogene is published in a range of romance genres including Paranormal, Science Fiction and Contemporary. She is mainly published in the UK and USA due to the nature of her tales. In 2011, Imogene Nix (the pen name not Imogene herself) was born. Imogene sat down and worked tirelessly for 3 months culminating in the books Starline, which became the first in a trilogy titled, "Warriors of the Elector." Imogene has successfully been contracted for twenty-five titles. She has also completed several others. In 2017 Imogene decided to self publish most of her further works - a plan which is in train. Imogene is a member of a range of professional organisations world wide, and believes in the mantra of mentoring and paying it forward. She loves to drink coffee, wine & eat chocolate and is parenting 2 spoiled dogs and a ferocious cat along with her husband and 2 human daughters. You can find Imogene at her website: imogenenix.net which includes her blog.